It is this last one, obviously, that causes the most concern. Many sections of the New Jersey Motor Vehicle Code call for jail time, but most municipal judges are loathe to throw a driver into the county jail for some of them. Many times they are amenable to work release, time served on weekends only, or a special program called the Sheriff's Labor Assistance Program (more commonly knows as SLAP). This is a program allowable by statute (N.J.S.A. 2B:19-5) that can be set up in a county by its sheriff's department. It is defined in that statute as being "a work program,established by the county under the direction of the sheriff or other authorized county officer, which rigorously supervises offenders providing physical labor as an alternative to incarceration." However, a recent ruling by a municipal court judge may reflect a change in this attitude. Why Might SLAP Be Going Away? At the end of last month, a decision from the Municipal Court of Byram Township (Sussex County) was approved for publication by the Committee on Opinion. In the case of State v. White Judge Richard Bowe, ruled that the SLAP program is not available to a defendant who has been sentenced to jail time for driving on the revoked list when the underlying reason for the suspension was for a drunk driving conviction. Rather, only a jail term is permissible under the revoked-list statute. Although it is extremely rare for a municipal court opinion to be approved for publication, this one was, which makes it of some note. In addition, the holding in White marks the second time that an opinion written by Judge Bowe has been approved for publication. Even though the decision of this judge is not binding on any other traffic court judge, the fact that the ruling was considered significant enough to publish could indicate how courts in the future may view applications to SLAP as a jail alternative in these types of cases. If you have been ticketed in southern New Jersey for driving while suspended, call my office at 856-432-4113 or contact me through this site to schedule an appointment to discuss your case. What do I do if I have been ticketed for driving with a suspended license in New Jersey? What happens if I get caught driving while suspended for a NJ DUI? Have you received a traffic ticket in Camden, Gloucester, or Salem county and have more questions about NJ traffic court? This article not answer your question? Get more answers here. 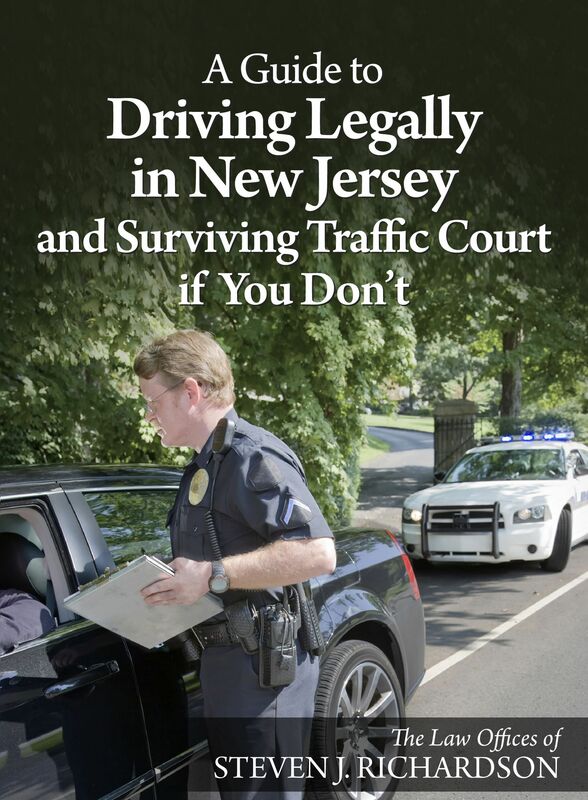 You can also get the answers to the most frequently asked questions by downloading my free book, A Guide to Driving Legally in New Jersey and Surviving Traffic Court If You Don't. It will give you the answers you need all in one place. Then call me at 856-686-9910 or contact me through this site for an appointment for a free consultation to discuss your case. Posted on 07/09/2015Beware! Dozens of NJ Towns Are Targeting Distracted Drivers!